PTSD is a relatively newly defined disorder with an old history and historical medical literature reveal clinical symptoms similar to post traumatic stress disorder dating back to the Egyptian civilization. In 1900 BC, an Egyptian physician eloquently described hysterical reactions of a patient after traumatic experience. These reports became one of the first medical textbooks ever to be published in 1990 B.C. (Figley, C.R., 1993). The Book of Job in the Holy Bible is a heartbreaking story of human trauma. Job was subjected to extreme suffering, loss of material possessions and psychological anguish. Job’s s story describes the nature of emotional suffering. This Biblical story has a great importance in human response to trauma. Carl Jung in his 1952 book Answer to Job analyzed the psychological components associated with the book of Job. Jung was of the view that Job’s story as a landmark development in the “divine drama. As Dan Mathewson postulates Job, deals with the trauma of suffering, attempts to come to terms with a collapsed moral and theological world, and eventually re-connects the broken pieces of his world into a new moral universe. (Dan Mathewson – Death and Survival in the Book of Job Desymbolization and Traumatic Experience). Job was deeply shattered by the trauma that fell upon him. He desolately expressed self-pity and was troubled by the intrusions. He feels hopeless and his mental agony is similar to one who suffers from PTSD. Probably the biblical character Job meets the criteria for PTSD. In their research article The Book of Job: Implications for construct validity of posttraumatic stress disorder diagnostic criteria Clifford Haughn Quincy (College, Massachusetts, USA ) and John C. Gonsiorek ( Department of Psychology, Argosy University/Twin Cities, Minnesota, USA ) argue that there is a high ratings of congruence between descriptions of Job’s reactions and symptoms of PTSD described in DSM-IV-TR. The book of Job is a great acknowledgment of human trauma and resilience. The main essence of the book of Job is in spite of trauma, pain and disappointments in life, there are reasons to celebrate the human existence. Mahabharata, an epic tale in Indian mythology originally written by Sage Ved Vyas in Sanskrut. Mahabharata illustrates the Great War of Mahabharat between the Pandavas and the Kauravas happened in 3139 BC. Although many believed, that Mahabharata was a fable the archeological discovery of the ancient city of Dwaraka, situated on the extreme West Coast of Indian territory by Dr. S.B. Rao, Emeritus Scientist of the National Institute of Oceanography provided credence to the legend of Krishna and the Mahabharata war. The great epic Mahabharata describes vivid combat stress reactions exhibited by the ancient worriers. On the 14th day of the Mahabharat War, i.e., on 30th October a similar phenomenon took place. Due to the October heat enhanced with the heat of the fire-weapons liberally used in the War, the ground became so hot that the layers of air near it were rarefied while the layers at the top were denser. Therefore the sun above the horizon ws reflected producing its image beneath. The Sun's disc which was flattened into an ellipse by a general refraction was also joined to the brilliant streak of reflected image. The last tip of the Sun disppeared not below the true horizon, but some distance above it at the false hor- izon. Looking at it, Jayadratha came out and was killed. By that time, the same appeared on the true horizon. Naturally there was no refrac- tion because the light rays came parallel to the ground. This revisu- alized the Sun at the true horizon. Then the sun actually set, but the refraction projected the image above the horizon. The sun was thus visible for a short time, which then set again. The Greek epic poet Homer was an artistically gifted oral poet who had the capacity to inspire human nature in dramatic terms. Homer's great epic Iliad, which was composed may be in 730 BC narrates a series of harrowing experiences of battle stresses that were experienced by the ancient Hellenic combatants. In depicting the world of the warriors in the Iliad, Homer pays special attention to the objects of war and human relations in extreme situations. Iliad offers a glimpse of battle stress and human capacity to resist such trauma. Despite the beautiful objects and environments for their aesthetic value, Iliad expresses the ironies of war. Homer recounts the horrors of war using various expressions such as smell of blood and sweat of slaughter and earth soaked in blood etc. Hence, Homer articulates that there is no glory in the slaughter. Iliad may be the most complete single metaphor for the deadly perils of warfare. Homer tells how the warriors in motion on the battlefield and their obsession of terror that creates a destructive enterprise of war. Homer analytically describes the rage of Achilles the warrior thus. and the will of Zeus accomplished. Achilles was utterly overwhelmed with grief when he heard the death of his friend Patroklos. Patroklos went to the battlefield wearing Achilles’s armor to fight the Trojan prince Hector. Patroklos was killed in the fight. His body was mutilated and put to vultures to eat. Iliad describes Achilles’s survival guilt as an outcry. Battle scenes and human suffering occupy much of the Iliad. When exposed to combat atmosphere soldiers have feelings that become more intense and unpredictable. They may include responses that are re-awakened or amplified. Homer proficiently articulates such responses. In Iliad, some combatants go in to extreme confusion and experience the feelings of insecurity. Their reactions are similar to modern-day combat related PTSD. The Iliad epitomizes another tragedy of war. The agony of war widows which roofed with physical and mental trauma. The page of Iliad echoes the woe and afflict of the Trojan women. Homer expounds their snivel and helplessness comprehensively. Trojan women have become the ultimate symbol of a manmade disaster. Homer's Iliad is a universal affirmation of combat trauma and poetically recites how human psyche reacts to extreme situations. Based on its artistic qualities and deep analysis of human relations in a time of war, Iliad represents a great epic and a human melodrama. According to archaeological and literary evidence, the Jathaka stories were compiled in the period, the 3rd Century B.C. to the 5th Century A.D. The Khuddaka Nikaya contains 550 stories the Buddha told of his previous lifetimes as an aspiring Bodhisatta. According to Professor Rhys Davids Jataka stories are one of the oldest fables. The Jataka stories deeply analyze the human mind. It contains a profound psychological content. In the Jataka stories there are numerous characters who had displayed hysteria type of reactions. For instance in the Maranabheruka Jathaka one monk shows anxiety based reactions that is similar to modern day PTSD. This monk was troubled by extreme fear, hyper-arousal, avoidance, frightful mental pictures (flashbacks?) and emotional anesthesia troubled this monk. The eminent English poet and playwright William Shakespeare created many characters that appear to be afflicted by psychological and psychiatric disorders. Shakespeare had an exclusive ability to grasp the dynamics of the human mind and fathom the dysfunctions of the human psyche. Indeed Shakespeare was very comprehensible in his descriptions of various psychological and psychiatric symptoms. Shakespeare’s influence on psychopathology was immeasurable. Many of Shakespeare’s lead characters seem to be having mental disorders and even psychoses. Shakespeare’s play of Macbeth probably written sometime between 1603 and 1607 reveals a misfortune filled with guilt, emotional overwhelming, nightmares, hallucinations, disturbing reminiscences. Macbeth was a Scottish Army General who wanted to rise to nobility and to become the king of Scotland. To fulfill his ambition he was pushed to kill the king Duncan by his ambitious wife. Macbeth murders his king Duncan while Duncan is a guest at their castle. After the murder, Macbeth and his wife become emotionally unstable. Lady Macbeth she sleepwalks (a form of dissociation that is evident in psychological trauma) She continuously washes and wrings her hands in an attempt to make it clean (OCD type of behavior that could be co morbid with PTSD). Her nights were full of disturbances and she becomes hyper-vigilant. Following distressing mental condition, Lady Macbeth commits suicide. Did 16th Century Sri Lankan Monarch suffer from PTSD? The King Seethawaka Rajasinghe (Tikiri Bandara ) the 16th century monarch of Sri Lanka was a great warrior who came to the battlefield at the age of 16. He fought against the Portuguese invaders and witnessed many deaths and destructions. He was a fearless fighter who used effectual war tactics and overpowered the fully equipped and fully trained Portuguese war machine. The King Seethawaka Rajasinghe ruled 39 years from 1554 - 1593 AD. He was a military genius and a strategist. One Portuguese historian compared him with Hannibal. In 1562, the Battle of Mulleriyawa took place and Tikiri Bandara fought against the 16th Century Super Power – Portuguese war machine. ThePortuguese army was led by Captain Major Afonso Pereira de Lacerda and Captain Major Jorge de Meneses Baroche. The conflict took place outside Colombo on the southern bank of the Kelani River. Tikiri Bandara attacked the Portuguese army like a thunderbolt. The invincible 16th century super power was in the verge of a defeat in front of his sword. According to the Rajavaliya - 17th-century historical, chronicle of Sri Lanka, more than 1600 Portuguese and support troopers (Lascarins) perished on the Mulleriyawa battlefield. At the height of his military success the King Seethawaka Rajasinghe gathered 100,000 soldiers and attacked the Portuguese Fort in Colombo. The Portuguese were desperate. Fear and famine fell upon them. Despite the attacks the Portuguese were able to get external naval support from Goa. The battle was a fiasco and the King became furious. He suspected most of his Generals and assassinated them one by one. King Seethawaka Rajasinghe poisoned his right wing man Wicramasinghe Maha Senevi then Weerasundara Bandara. These Generals helped him in numerous battles. Following the long years of combat Tikiri Bandara alias King Seethawaka Rajasinghe was exhausted and obviously suffered from battle fatigue. In the later years, his mental health was declining. The King Seethawaka Rajasinghe became extremely suspicious showed outburst of anger, irritability, deep mistrust, alienation, emotional numbing and various other PTSD related symptoms. There were clear personality changes in him. With these changes, the great warrior launched a chain of terror against his own people creating a deep void in the hearts and minds. He acted as a tyrant and used brutal methods to punish people. He never felt any remorse or compassion. The King Seethawaka Rajasinghe even killed his own father King Mayadunne who ruled the Kingdom of Sitawaka from 1501 to 1581. This despicable act could be interpreted as a reaction following emotional anesthesia, which is evident in PTSD. He banished his religion, embraced Hinduism, and murdered thousands of his subjects who refused to follow Hinduism. The King Seethawaka Rajasinghe destroyed Buddhist temples and killed Buddhist monks by drowning. His emotions were unstable. Very often, he acted with sudden rage. Gradually he made himself alienated. He had no close associates and the King became an isolated and a broken man. After many battles, he was physically and mentally worn out. Many aristocrats had left him because they could not stand his false accusations and outrageous behavior. The Great warrior had become another victim of combat stress. His final battle took place in Kandy. He had to face Konappu Bandara ails the King Wimaladharmasurya the son of Weerasundara Bandara. One time Weerasundara Bandara was King Seethawaka Rajasinghe s faithful supporter. Weerasundara Bandara helped King Seethawaka Rajasinghe to fight Portuguese. However, King Seethawaka Rajasinghe unreasonably suspected Weerasundara Bandara and killed him. The battle was atrocious. The King Wimaladharmasurya proclaimed that he would take the revenge for killing his father. King Seethawaka Rajasinghe lost the battle. While retreating he fell down from the horse and sustained an injury. A bamboo prick pierced his leg and after a few days he died may be due to tetanus or septicemia. Thus, a legend came to an end. He was called the Lion of Seethawaka who brought fear to the Portuguese invaders. He was a liberator but later became an enigma. May be PTSD ruined his inspirations and the goals in life. If these personality changes did not occur, he would have been one of the great heroes in the Sri Lankan history. Samuel Pepys a Member of the Parliament kept a detailed private diary described the aftermath of the Great Fire of London, which occurred in 1666. Samuel Pepys vividly wrote about the emotional reactions of the survivors who manifested nightmares and intrusive thoughts about the calamity. Some of our maids sitting up late last night to get things ready against our feast today, Jane called up about three in the morning, to tell us of a great fire they saw in the City. So I rose, and slipped on my night-gown and went to her window, and thought it to be on the back side of Mark Lane at the farthest; but, being unused to such fires as followed, I thought it far enough off, and so went to bed again, and to sleep. . . . By and by Jane comes and tells me that she hears that above 300 houses have been burned down tonight by the fire we saw, and that it is now burning down all Fish Street, by London Bridge. So I made myself ready presently, and walked to the Tower; and there got up upon one of the high places, . . .and there I did see the houses at the end of the bridge all on fire, and an infinite great fire on this and the other side . . . of the bridge. . . .
Having stayed, and in an hour's time seen the fire rage every way, and nobody to my sight endeavouring to quench it, . . . I [went next] to Whitehall (with a gentleman with me, who desired to go off from the Tower to see the fire in my boat); and there up to the King's closet in the Chapel, where people came about me, and I did give them an account [that]dismayed them all, and the word was carried into the King. so I was called for, and did tell the King and Duke of York what I saw; and that unless His Majesty did command houses to be pulled down, nothing could stop the fire. They seemed much troubled, and the King commanded me to go to my Lord Mayor from him, and command him to spare no houses. . . . Although Samuel Pepys survived the Great Fire of London without any physical damage, his emotions were inundated. He wrote about his fears, sleep disturbances, overwhelming emotions and intrusive memories that haunted him for a long time. During 1676 to 1681 series of military conflicts occurred between Russian and Ottoman Empires. Professor V.I Buganov – a renowned Soviet Historian described unusual events that occurred during the war between the Turkish troops and the forces of the Peter the Great. According to Buganov’s historical recollections, some soldiers lost their voices (became aphonic as a result of hysteria type dissociative reaction). Some manifested fear feelings and became insane (stress related behavior following Acute Stress Disorder?). In 1800, a condition called Railway Hysteria / Railway Spine that bore a remarkable resemblance to modern day PTSD. The sufferers of Railway Hysteria / Railway Spine showed anxiety and somatoform symptoms after facing catastrophic railway accidents. Railway spine was a nineteenth-century diagnosis for the post-traumatic symptoms. A large numbers of casualties reported on Britain's Victorian railways between the 1840s and the 1860s. The Medical experts regarded 'Railway as a condition produced by a jolted and shaken spinal cord to one of traumatically-induced mental and nervous collapse fraught with implications of hysteria, neurasthenia and degeneration. In 1869, the neurologist George Beard called a group of symptoms neurasthenia that was appeared in Beard's Neurasthenia As a Cause of Inebriety(1879) characterized by chronic fatigue and weakness, loss of memory, and generalized aches and pains, formerly thought to result from exhaustion of the nervous system. In 1876 US Civil War Physician Dr Mandez Da Costa introduced the term Soldier’s Heart which illustrated the physical and emotional symptoms displayed by the Civil War veterans. These symptoms included startle responses, hyper vigilance, dyspnea, palpitation, chest pain, fatigue, faintness and heart arrhythmias. Soldiers Heart or Da Costa's syndrome is considered the manifestation of an anxiety disorder and treatment is primarily behavioral, involving modifications to lifestyle and daily exertion. Effort Syndrome was introduced in 1900. This condition was characterized by chest pain; dizziness; fatigue; palpitations; cold, moist hands; and sighing respiration. The condition is often associated with soldiers in combat but occurs also in other individuals. The pain often mimics angina pectoris but is more closely connected to anxiety states and occurs after rather than during exercise. In 1901 the Parisian clinical neurologist Jean-Martin Charcot better known as "the founder of modern neurology” described traumatic memories as parasites of the mind. He formulated a comprehensive, neurogenic model of ‘the great neurosis’. For Charcot, hysteria was strictly a dysfunction of the central nervous system. In Charcot's view, traumatic hysteria and male hysteria were identical. Charcot acknowledged the relevance of psychological traumas, dissociated from the patient's consciousness, in determining the nature of its symptoms. Jean-Martin Charcot's views immensely affected Sigmund Freud's early theory of hysteria and the notion of psychical trauma. Sigmund Freud used the term Traumatic Neurosis that resembles the present day PTSD. The term traumatic neurosis designates a psycho-pathological state characterized by various disturbances arising soon or long after an intense emotional shock. Freud specifically wrote about effects of traumatic memories and traumatic shock. In Freud's words, "The symptomatic picture presented by traumatic neurosis approaches that of hysteria in the wealth of its similar motor symptoms, but surpasses it as a rule in its strongly marked signs of subjective ailment . . . , as well as in the evidence it gives of a far more general enfeeblement and disturbance of the mental capacities" (1920g, p. 12). Freud’s understanding of trauma was well represented in his works mainly in Mourning & Melancholia (1917), Beyond the Pleasure Principle (1920), and Symptoms, Inhibitions & Anxiety (1926). Freud assumed that the negative emotional energy associated with traumatic memories unconsciously converted into the somatic manifestations of hysteria. Freud’s lectures in 1917–1918 eloquently described the broad clinical picture of PTSD. In one of his famous lectures- Fixation upon trauma / the unconscious which was conducted in America Freud states thus….. The closest analogy to this behavior in our nervous patients is provided by the forms of illness recently made so common by the war – the so-called traumatic neurosis. Of courses, similar cases have occurred before the war, after railway accidents and other terrifying experiences involving danger to life. The traumatic neurosis are not fundamentally the same as those which occur spontaneously…..
….. The traumatic neurosis demonstrates very clearly that a fixation to the moment of the traumatic occurrence lies at their root. These patients regularly produce the traumatic situation in their dreams, in case showing attacks of a hysterical type in which analysis is possible; it appears that the attack constitutes a complete reproduction of this situation. It is as though these persons had not yet been able to deal adequately with the situation, as if this task were still actually before them unaccomplished. In 1910 Freud stated that hysterical patients suffer from intrusive reminiscences. There are many suggestive evidence to prove that Sigmund Freud knew the spacious clinical picture of PTSD. By 1918, British Military Doctors identified a group of symptoms included tiredness, irritability, giddiness, lack of concentration and headaches among the soldiers who fought in the World War one. A British Pathologist Col Fredrick Mott coined the term Shell Shock and he considered shell shock as an organic condition produced by miniature hemorrhages of the brain. Between 1914 and 1918, the British Army identified 80,000 men as suffering from shell shock. Shell shock was generally seen as a sign of emotional weakness or cowardice. Wilfred Owen was a Captain of the British Army and witnessed the atrocities of WW 1 first hand. He wrote his famous anti-war poem "Dulce et Decorum Est" while receiving treatment for shell shock in Craiglockart. The World War 2 was the global military conflict, which began in 1939, and 110 million persons were mobilized for military services. In 1939, the term Combat Fatigue was introduced to describe the combat trauma reactions that occurred during the WW2. Combat Fatigue was characterized by hypersensitivity to stimuli such as noises, movements, and light accompanied by overactive responses that include involuntary defensive jerking or jumping, easy irritability progressing even to acts of violence, and sleep disturbances including battle dreams, nightmares, and inability to fall asleep. Following a battle in WWII, 17% were afflicted with acute PTSD. A longitudinal study of Harvard University alumni found 56% of World War II veterans who experienced heavy combat were chronically ill or dead by age 65 (Lee, Vaillant, Torrey & Elder, 1995). The Diagnostic and Statistical Manual of Mental Disorders (DSM 1) was published in 1952 by the American Psychiatric Association and provided new diagnostic criteria for Neurotic Reaction (Stress Response Syndrome). Transient Situational Disturbance defined as a form of maladaptive reactions to identifiable psychosocial stressors occurring within a short time after onset of the stressor. They are manifested by either impairment in social or occupational functioning or by symptoms (depression, anxiety, etc.) that are in excess of a normal and expected reaction to the stressor. In 1980, the American Psychiatric Association added PTSD to the third edition of its Diagnostic and Statistical Manual of Mental Disorders (DSM-III) nosologic classification scheme. In its initial DSM-III formulation, a traumatic event was conceptualized as a catastrophic stressor that was outside the range of usual human experience. The International Statistical Classification of Diseases and Related Health Problems 10th Revision (ICD-10) is a coding of diseases and signs, symptoms, abnormal findings, complaints, social circumstances and external causes of injury or diseases, as classified by the World Health Organization (WHO).ICD-10 was endorsed by the Forty-third World Health Assembly in May 1990 and came into use in WHO Member States. The ICD is the international standard diagnostic classification for all general epidemiological, many health management purposes and clinical use. 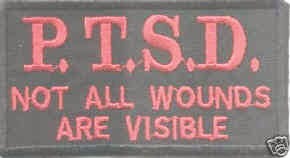 The Diagnostic and Statistical Manual of Mental Disorders- Fourth Edition (American Psychiatric Association, 1994) defines PTSD as a constellation of symptoms and behaviors that includes three core clusters. Re-experience the trauma in the form of intrusive thoughts, dreams and images, avoidance of thoughts or reminders of the trauma, together with emotional numbing and withdrawal and signs of increased central and autonomic arousal. Publication of the fifth edition of Diagnostic and Statistical Manual of Mental Disorders (DSM-5) in May 2013 will mark one the most anticipated events in the mental health field(APA). The DSM 5 has proposed 8 criterions (criterion A to criterion H ) In order to be diagnosed with PTSD according to the DSM-5, a person needs to meet Criterion A, one symptom (or more) from Criterion B, one symptom (or more) from Criterion C, three symptoms (or more) from Criterion D, 3 symptoms (or more) from Criterion E, and Criterion F through H. Several questions were raised with the development of The American Psychiatric Association’s (APA) fifth Diagnostic and Statistical Manual of Mental Disorders (DSM-5), regarding PTSD. These include: (1) Should the stressor criterion (Criterion A) be revised? ; (2) Should other diagnostic criteria be revised and, if so, which ones? ; and (3) Should other proposed posttraumatic syndromes also be included in DSM-5? . The experts review these questions and finalize it by May 2013.